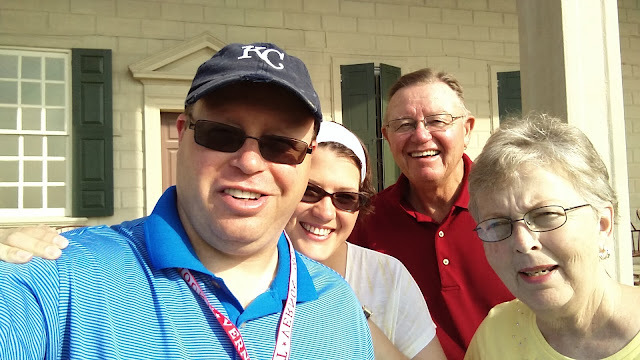 Today I had the pleasure of sharing a place that I have come to love over several visits in the past several years - Mount Vernon - with my family. Jayme and I had visited Mount Vernon on a summer vacation in 2005 but my mom and dad had never visited. My parents both love history and my dad is a former history teacher / librarian who is also an accomplished gardener. 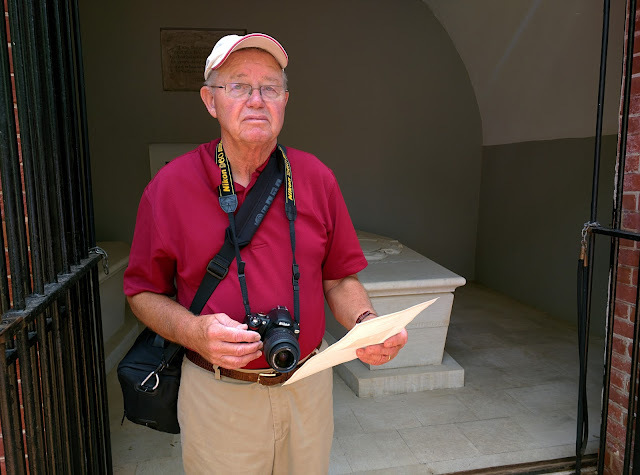 I have been looking forward to showing my family Mount Vernon for a long time. 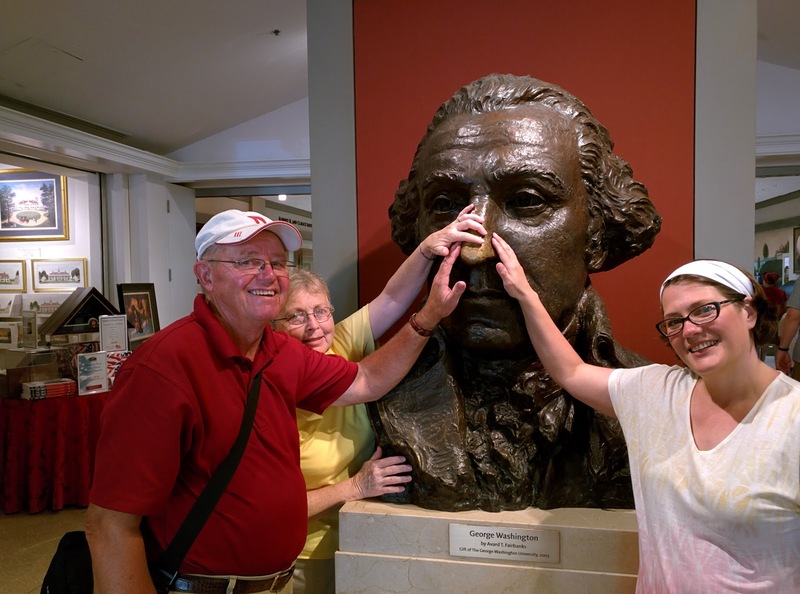 We visited Mount Vernon on a Sunday and purchased our tickets the day before online. 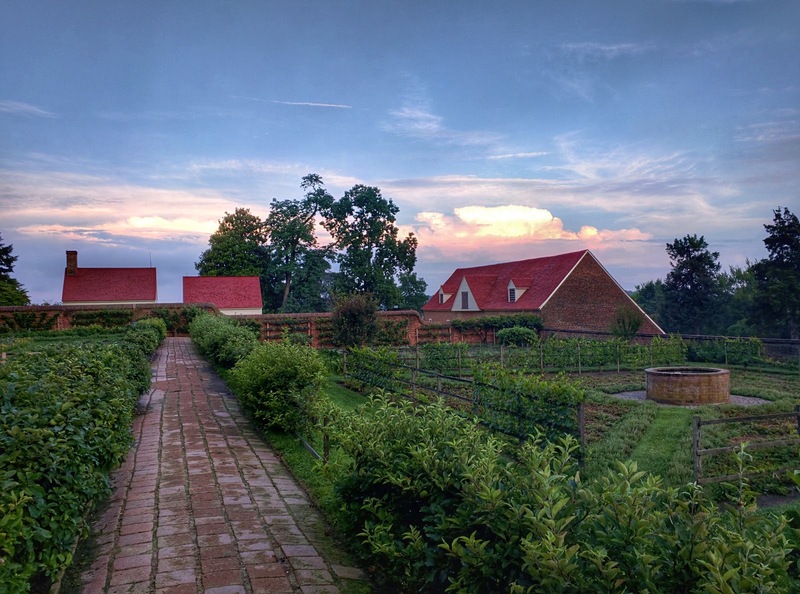 Purchasing tickets for your Mount Vernon visit saves you a little on the price of the ticket and also allows you to select the time at which you would like to take your tour of the mansion. We entered the grounds when they opened at 8 AM and were first in line for the mansion tour at 9 AM. 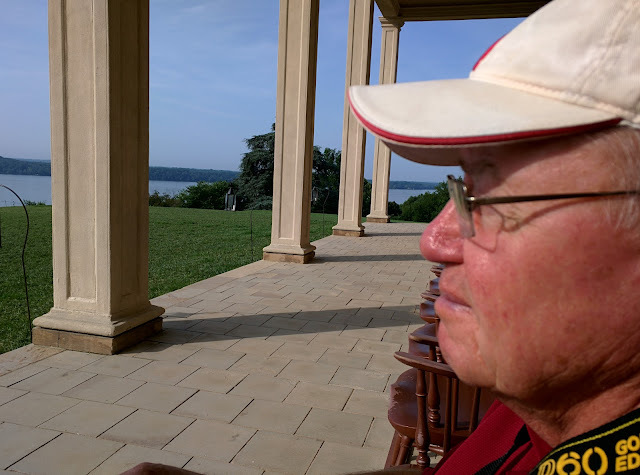 Prior to the mansion tour we sat outside on the piazza and took in the beauty of the morning overlooking the Potomac. After enjoying the mansion tour we explored the out buildings prior to visiting Washington's tomb. We arrived just before the morning wreath laying ceremony. My dad volunteered to read a portion of Washington's writing during the ceremony. I recorded it on my cell phone and the video can be seen below. He was given the copy of the reading to keep as well. It was a special moment and one that I know my dad will remember. Next up was the landscape and gardens tour. My dad loves gardening so this was the one thing he looked most forward to on the grounds. It was a great tour and the weather even cooperated with a slight occasional breeze. We toured the bowling green, the upper garden, the lower garden and the back lawn. All of us have read Founding Gardeners and The General in the Garden so it was great to see the gardens in person. Later in the day we visited the pioneer farm. Seeing Washington's 16 sided barn in action with a threshing demonstration was a highlight. After visiting the exhibits and a little shopping we went into Alexandria for a night on the town a fancy dessert. It was a memorable day and one that I know I, and my family, won't soon forget. My parents will be heading back to Kansas City in the morning. The next phase of the adventure begins tomorrow for Jayme and I as we head to Monticello in the morning.